The objective of this Mozart lesson plan for kindergarten is to provide students with an introduction to this classical composer through discussion and hands-on activities. At the end of this lesson, children will have an understanding of what classical music is and know who Mozart (among other composers) was. Collect these materials to use in this lesson. CD of Mozart’s music. You might also want to have CD’s of various composers (Beethoven, Chopin, Bach, Tchaikovsky, Haydn, etc.). Wooden spoon, unsharpened pencil or thin dowel that could be used as a xylophone stick. Call your students to the reading circle and read the book, Mozart Finds a Melody by Stephen Costanza. This story portrays a fictional story of how Mozart wrote his “Piano Concerto no. 17 in G Major". As you read, explain who Mozart was and the type of music he composed. Have the students return to their seats and provide them with paper and paint. Play the Mozart CD (you might even wish to play the piece told about in the book you read, “Piano Concerto no. 17 in G Major"). Ask the students to use the paint to create a picture of what they think about when they hear the music. When everyone has created their pictures, have a discussion about what the children drew and how they felt when they heard the music. You might also want to point out how different types of music can make people feel different emotions (happy, sad, etc.). As a classical musician, Mozart composed some of the most beautiful sonatas and symphonies known in classical music. He also wrote enlightening operas and masses for the church. One of his most popular operas is The Magic Flute, which is full of fantasy and enchanting tunes. In this opera, a bird catcher plays a magic flute to attract the birds. If possible, play this recording to your class. Give the children paper and allow them to draw the birds coming to the bird catcher as they listen to this musical score. Call your students to sit in a circle. Show them pictures of various musical instruments and explain what each one is and how it is played. If possible, bring in an instrument or two and pass the instruments around the room to look at. Rhythm instruments are common in kindergarten classes and can be passed out to the students to play. Explain that instruments are used to make music. If you know a simple tune such as Twinkle, Twinkle Little Star, you may wish to play it at this point. Let the children experiment with these rhythm instruments before doing the next activity. To make water bells, fill five of the drinking glasses with different amounts of water. Line them up from the most water to the least. 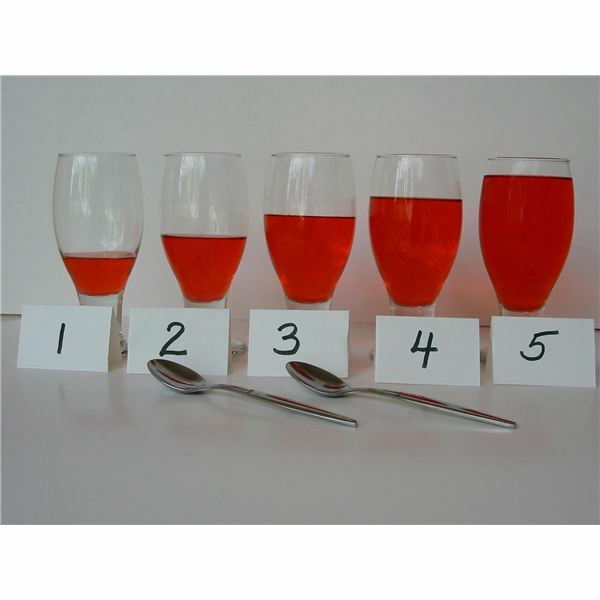 Explain to the children that the glasses are like another type of instrument (the xylophone) and that the amount of water in each glass will determine what sound it makes. Using the wooden spoon, tap each glass (again, if you know a simple tune you might want to play it again). One by one, allow each student to try out the instrument. Help the children to discover that the glass with the most water produces a lower tone, whereas the glass with the least amount of water has a higher sound. Can you tell me who Mozart was? What did he do for a living? How does this composer's music make you feel? Do you enjoy listening to classical music? Which instrument is your favorite? Show me the picture or the sample. Does it make a high or low sound? Did you enjoy the water glasses project? Can you play me a simple tune? Learning about Mozart through these lesson plans for kindergarten is a wonderful way to introduce his classical music to young children. Since this composer's music is soft and soothing, why not play a tape each day during a quiet time activity? It's entertaining and educational at the same time!